The Invincibles – A time for discussion? Shane Kenna tells the story of the militant underground Fenian group – The Invincibles of the 1880s. Arriving in Dublin on 6 May 1882, the Chief Secretary for Ireland, Frederick Cavendish, attended to some formal business in Dublin Castle, the seat of the British government, before walking home to his residence in the Phoenix Park. He was met by permanent Undersecretary Thomas Henry Burke in a cab on Chesterfield Avenue, just inside the park’s entrance. Joining Cavendish in his walk, the two men were approached by a group of seven men, three in front, two in the middle and two behind. 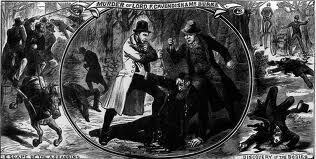 Passing through the first three, who turned around, they approached the middle two – Joe Brady and Tim Kelly, Brady stabbed Burke while Kelly made for Cavendish – both using surgical knives – killing the two British officials in what was regarded as a brutal assassination. Afterwards the killers made their way from the park at a hurried pace on two cabs, the first driven by Myles Kavanagh, the second cab driven by James Fitzharris, known better as ‘Skin the goat’. In Dublin they would leave a card into all the major newspapers identifying themselves as the Irish National Invincibles. Mass roundups of suspected Fenian ‘terrorists’ followed. One, James Carey, told his interrogators that the Invincibles had been formed in the fall of 1881 to ‘make history’ and to establish a grouping within the Fenian network to assassinate government administrators in Ireland. But who were, the Invincibles really? And how did they come to adopt such ruthless methods in the cause of Irish independence? The Invincibles were a militant group within the Irish Republican (or Fenian) Brotherhood, who emerged in response the coercion of the Land League tenant farmer movement. Traditionally there had been much poverty in Ireland. In the late nineteenth Century this was graphically represented in the existence of a large tenant farming class. The place of the tenant farmer, moreover, had been made quite insecure by the system of Landlordism in Ireland, in which tenants had few rights of tenure or rent security against the still largely Anglo-Irish landlord class. Against this background for the tenant farmer, 1878 had seen a bad harvest and the return of potato blight – the disease which had triggered the Great Famine of the 1840s. The problem only increased after another bad winter the following year. This disaster in the harvest was combined with the unpredictability of capitalism, as the value of Irish agricultural produce in the British market fell against cheaper imports from South America and New Zealand. Many tenant farmers, particularly in the west, could not now afford to pay rent, resulting in an increasing number of evictions – rising from 406 in 1877, to 1098 in one year, and levels of emigration not witnessed since the famine. With the famine less than a generation beforehand, tenant farmers were not prepared to allow tragedy to strike for a second time, many determining to organise as a social movement seeking fairer rights on their farms and lands led by an effective tenant leadership. These events culminated in the formation of the Irish National Land League in October 1879 and the beginning of a social revolution on the island of Ireland between 1879 to 1882, known as the Land War. The Land War, a movement of both violent and non-violent agitation, was fought between opposing forces of power and privilege on one side against the poor and marginalised on the other, the outcome of which would ultimately be a shift in the ownership of the land in Ireland from landlord to tenant. The Coercion Act allowed for internment without trial and the suspension of Habeus Corpus. Under it over 900 Land League members were imprisoned, including thier leader, Parnell. In this social revolution tenant farmers were organised as a mass movement under an effective leadership of Irish nationalists such as former Fenian Michael Davitt and later the constitutionalist Charles Stuart Parnell. This social conflict was heightened by an understanding on both sides that Landlordism was a key pillar of British rule in Ireland, and if Landlordism collapsed, as envisaged by the Land League, it would be a significant blow to the British interest in Ireland, In this regard much of the Land League philosophy on Landlordism would portray it as a foreign system imposed upon the people, facilitating the conquest of Ireland. In this confrontation Landlordism would have the powerful backing of the British political elites using the resources of the state to defeat a serious threat to its authority in Ireland. As a means of defeating the agitation of tenant farmers the British government on 1 January 1881 made clear its intention to introduce a Coercion Act to pacify Ireland, becoming law in March. It was exceptionally draconian, suspending habeas corpus, trial by jury and facilitating the proclamation of entire districts as ‘disturbed’. This act was endorsed by the British governments most important administrator in Ireland, the Chief Secretary in Dublin Castle, William Forster MP. Forster vigorously championed and applied coercion in Ireland, which was administered by his permanent Undersecretary, Thomas Henry Burke. Once put into operation, some nine hundred members of the Land league were arrested and interned in various prisons across Ireland, culminating in the arrest of Charles Stewart Parnell in October 1881 and his imprisonment in Kilmainham Gaol Dublin. The carrot accompanying this stick of coercion was British Prime Minister Gladstone’s second Land Act, establishing a land court, but not applicable to tenant farmers in arrears or in debt. Parnell was released in 2 May 1882 under the terms of the so-called ‘Kilmainham Treaty’, whereby he would agree to use his influence to calm violent land agitation in return for significant amendments in Gladstone’s second Land Act and a lapse in coercion. It was also understood that he would co-operate with the British Liberal Party in Parliament. 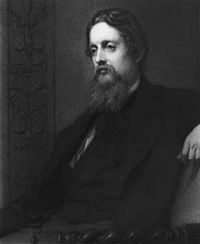 Outraged by Parnell’s release, the hardline Chief Secretary Forster resigned in protest, to be replaced by Frederick Cavendish, the husband of Gladstone’s niece, who arrived in the country on 6 May 1882. The day before his arrival Ireland had been thrown into a significant crisis. At Ballina the Royal Irish Constabulary (RIC) had opened fire and charged a peaceful crowd, killing several children under the age of fourteen. The next day was 6 May 1882, when Frederick Cavendish, the new chief secretary arrived in Dublin to take on his new job. He and Burke met seven Invincibles in the Phoenix Park, who were set on revenge for the police shootings in Mayo the previous day, and were brutally stabbed to death – the highest ranking British officials ever assassinated in Ireland. The hitherto unknown group left a card into all the major newspapers identifying themselves as the Irish National Invincibles. For the first time in Irish history there would be Sunday editions of the major newspapers. In the aftermath of the Phoenix Park assassinations Coercion was again introduced in Ireland, a provision of which, Section 16 allowed for what became known as the Star Chamber inquiry, allowing the state summon a suspect for interrogation under oath, and without legal representation, each witness compelled to give evidence in any subsequent trial facing imprisonment if he refused to do so. There was also a major police investigation, headed by John Mallon of the Dublin Metropolitan Police (DMP). Within a week, Mallon knew from informers the names of those who had assassinated the Cavendish and Burke in the Phoenix Park, but had no evidence to prosecute them. Following another attack by the Invincibles, this time on two jurors in Dublin, the state implemented Section 16 under John Adye Curran and summoned suspects to extensive interrogations in Dublin Castle. Taken to Kilmainham Gaol, they were extensively interrogated by John Mallon and Adye Curran, who would ‘turn’ several into informers, including Kavanagh (who had driven four Invincibles from the Phoenix Park after the assassination), Joseph Smith and most importantly, James Carey. James Carey was one of the leading figures of the Dublin Invincible leadership. In Kilmainham he underwent extensive psychological manipulation; Mallon telling him that Daniel Curley had revealed all about Carey’s involvement in the Invincibles, and meeting his wife outside of the Gaol, he told a similar story. He also allowed Carey’s wife to send letters to Carey, repeating what Mallon had said of Curley’s treachery. This was all a lie, Curley had not talked and had refused to speak about his role or anyone else’s role in the Invincible conspiracy. Joseph Brady, hanged and decapitated for his role in the killing of Chief Secretary Cavendish. Ultimately Carey cracked and begged Mallon to save his life, unburdening himself of the details of the Invincibles, Mallon feigning disinterest, left Carey, returning the next day to take his statement. The prisoners, with the obvious exception of the informers, were first tried in Kilmainham Courthouse and then in Green Street Courthouse Dublin. The extensive interrogation in Kilmainham Gaol had produced several more crucial informers – Robert Farrell, Myles Kavanagh, Joseph Smith, and later Joseph Hanlon – all of whom played their part in securing the convictions and executions of Invincibles. On 19 February Carey was unveiled as the prosecution’s star witness detailing the Invincible movement and the occurrences of 6 May 1882 in the Phoenix Park. In Carey’s narrative the Invincibles had been formed in the fall of 1881 by a Middlesbrough Fenian, John Walsh whose declared aim was to ‘make history’ and to establish a grouping within the Fenian network to assassinate government administrators in Ireland. Walsh had been sent to Dublin by Frank Byrne, secretary of the Land League of Great Britain, whose wife would later deliver the knives to Dublin smuggled on her person. A directory was set up of leading Fenians including James Mullet (Publican), Daniel Curley (Carpenter) and Joseph Mullet (van driver), all Dublin Centres (or cell leaders) of the Fenian movement. Mullet, later arrested in connection with the assassination of an informant, Bernard Bailey, would be replaced by Joseph Brady (Stone cutter), secretary of Daniel Curley’s circle. According to Carey, the Invincibles had attempted to assassinate William Forster, the former Chief Secretary for Ireland and the man most associated with Coercion, on nineteen occasions, failing due to a combination of bad luck and a desire not to harm innocents. He also identified a mysterious directing figure the movement – referred to as number 1 – later identified as Patrick Tynan, a go-between for Byrne in London with Dublin. Tynan, it seems, however, was simply a self publicist and not as important as he led history to believe. 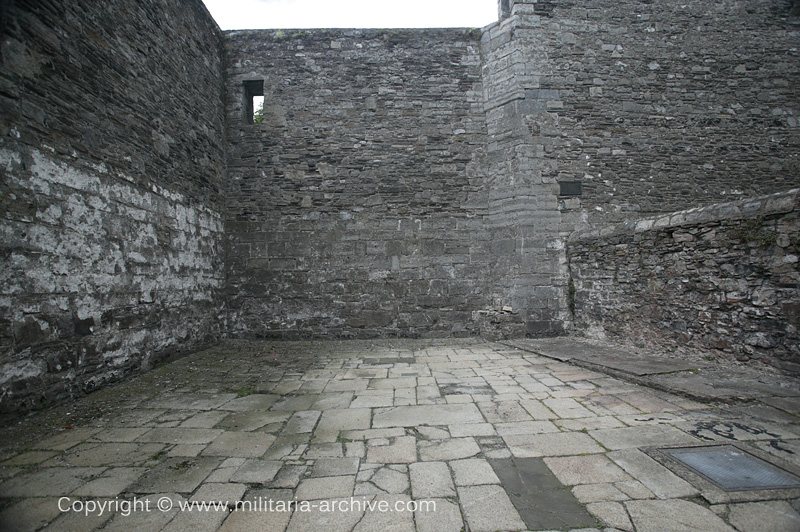 Today in Kilmainham Gaol the spot where the gallows came out to hang the Invincibles can still be seen. The black iron bars surrounding it were placed specially around the gaol to prevent the public from coming near the prison entrance or helping the prisoners mount an escape. To the right of Kilmainham Courthouse, there is a small gate in the perimeter wall of the Gaol known as the Invincibles’ gate, which built specially to ferry the Invincibles to and from the prison without having to risk taking them outside due to the crowds swelling in their support. Following Joseph Brady’s execution, Dublin Metropolitan Police Commissioner, John Mallon, left Kilmainham Gaol holding a parcel in his arm and was approached by a French Journalist, Frederick Moir Bussy. Stopping Mallon, Bussy asked him the details of Brady’s execution, Mallon dismissed him and left quickly in a waiting cab. In 1910 Bussy recalled in a biography of Mallon that he later asked the policeman why he was in such a rush to leave the prison. Mallon told him that the parcel he held was Joseph Brady’s head. The Invincible had been beheaded on the orders of Kilmainham doctor William Carte, so his head could be taken for examination in the Royal College of Surgeons, Dublin. According to Bussy, John Mallon himself kept the top of Brady’s spine as a souvenir of the Invincible conspiracy and his role in undermining it. You will have to be very cautious my lord, about the informers. I don’t seek redress. Of course I expect no mercy. I don’t pray for pardon. I expect none from the British government; they are my avowed enemies… I know the position in which I am standing here. I am standing on the brink of the grave. I will speak the truth… I admit I was sworn into the Fenian organisation twelve years ago; when I was only twenty-two years of age, and from that time to the present I worked openly in the organisation. I was let into a number of their secrets, and I will say here today that I will bring them to my grave faithfully and truly; and as to my own life, if I had a thousand lives to lose, I would rather lose them sooner then bring to my grave the name of informer and that I should save my life by betraying my fellow man… I am a member of the Invincible society – undoubtedly, unhesitatingly. ‘If I had a thousand lives to lose, I would rather lose them sooner then bring to my grave the name of informer’, Daniel Curley. The five Invincibles were buried in a lonely graveyard in Kilmainham Gaol, intended to be forgotten for all eternity. Today the five still remain in that lonely yard in Kilmainham, largely forgotten by the majority of the Irish people and unknown to the visitors to the building. Just as other Republican groups did in their wake, the Invincibles were seeking the establishment of the Irish Republic. They were Fenians and working class republicans, aware that the Fenians, involved in the Land War were shooting landlords and landlords agents, and with no great landowners in Dublin, as in the country, they assassinated the two most important British government administrators in Ireland and were eventually executed for it in one of the most famous events of nineteenth century Ireland. 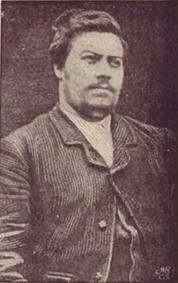 Sealing the chapter of the Invincibles, the informer James Carey would be assassinated in revenge for his testimony against the Invincibles by the Irishman Patrick O’Donnell at the Cape of Good Hope on 27 June 1883. O’Donnell was in turn executed at New Gate Prison in London, his remains lying in the grounds of the former prison and later reinterred into the London City Cemetery. There has never been a movement more misunderstood than and as controversial as the Invincibles in Irish history. From a purely historical viewpoint it is important that the Invincibles should be remembered, debated, studied and forensically examined in Irish history, and as the 130 anniversary of their executions draws near, perhaps it is the time for historians to readdress the Invincibles and their relevance within Irish history. It is my hope that I could work with Irish historians to seek to address the importance of the Invincibles to Victorian Ireland as we approach the 130th anniversary of the execution of the five Invincibles in Kilmainham Gaol. Now is the time for an objective discussion on what they were, who they represented, and essentially what their legacy was in the evolution of Victorian Ireland. By Shane Kenna. Shane is a PHD student, working on the history of the Fenian movement at Trinity College Dublin. You can read more articles by him on The Irish Story here. 31 Responses to "The Invincibles and the Phoenix Park killings"
So we have The Invincibles to thank for Sunday newspapers? A very welcome and long overdue reappraisal of the Invincibles and the Phoenix Park Assassinations. The revolutionary world of late 19th century Dublin is a fascinating one. What of the claim that their intent was a kidnapping (possibly to force the release of a number of Irish political prisoners) that went wrong when the two British officials resisted? Is there any information, on why, the ‘Invincibles’, chose to use surgical knives, in the Phoenix Park assassinations and what happened to these knives. Also, does anyone know, the name of any or all, ‘Invincible’ members, based in Britain, especially, London, around this time. Yours, very gratefully, Neil. Anyone got a profile/ background/ genealogy of Michael Fagan? I would have the same enquiry. and Brady’s Skull was kept for scientific purposes!! There was a macabre fascination with skulls of the rebels. Is there any record of a Michael Bolger being involved in the movement around the time of the murders? I ask because he was my great-grandfather and claimed to have been an Invincible who had information that authorities wanted. He arrived in New York at the age of 23 on July 24, 1883. I have been told that there is a flagstone near the footpath on Chesterfield Avenue that marks the spot of the event itself. Does anyione know exactly where or how far up the avenue this marker is? I was told that it was right across from the Aras but couldnt find it after much searching. James MULLETT’S Public House at 12 Lower Bridge Street. Does anybody have the names of the defence team at the trial of the Phoenix Park Murderers and in particular was there someone with the name Blennerhassett part of this team ? Our family continues the great debate as to whether my great-grandmother actually brought the surgical knives to Dublin. Would also love some more info. Dads name was Curley he was a carpenter also.His younger brother was Daniel Curley. Dad was from Westmeath. Did u find any information about where the Westmeath Curleys were from. Interestingly Michael Fagan from Kilpatrick Collinstown Co Westmeath was Hung. My Grandmother was Fagan and was reared as a child by 2 Uncles as we now know we were related to that Michael Fagan?? How about reinterring them in Glasnevin cemetery. They were patriots whether some people like them or not. Or at least bury them somewhere else with a decent memorial acknowledging their existence.